Toxicants modify the species composition in streams. We develop the bioindicator SPEAR to assess toxicant exposure and related effects on aquatic ecosystems. with n = number of taxa, xi = the abundance of taxon i, y = 1 if the taxon is classified as sensitive and y = 0 if the taxon is classified as insensitive. Particularly for sensitive taxa, a determination to species level is recommended; other taxa are aggregated at higher taxonomic level to harmonize monitoring data as far as possible. 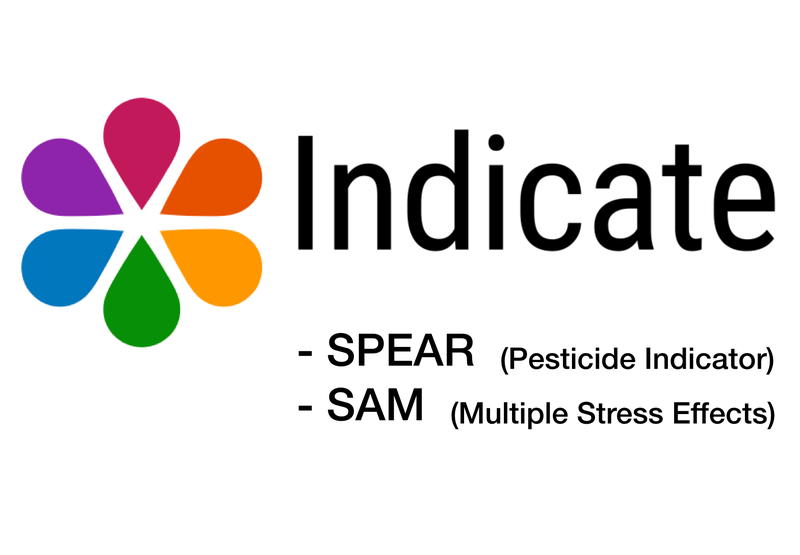 SPEARpesticide is optimized as a bioindicator for agricultural pesticides with a typical pulsed exposure regime in streams. The traits include (i) physiological sensitivity to insecticides and other pesticides with insecticidal mode of action, (ii) generation time, (iii) presence of aquatic stages, and (iv) ability to migrate and recolonize. The precursor of SPEARpesticide was developed within a research project financed by the German Federal Environment Agency [3,4]. The approach was first described by Liess & von der Ohe 2005 , followed by further developments and field validations [e.g. 5,6,7,8,9]. SPEARpesticide is available as a desktop application. This allows a user-friendly evaluation of scientific and regulatory monitoring data. The ecological impact of pesticides is linked to five quality classes like recommended by the Water Framework Directive . Furthermore, the SPEAR Calculator includes a program for the calculation of Toxic Units and to convert monitoring data from other data formats as for example used in ASTERICS . SPEARsalinity: Ecological assessment of salinity in Australia . 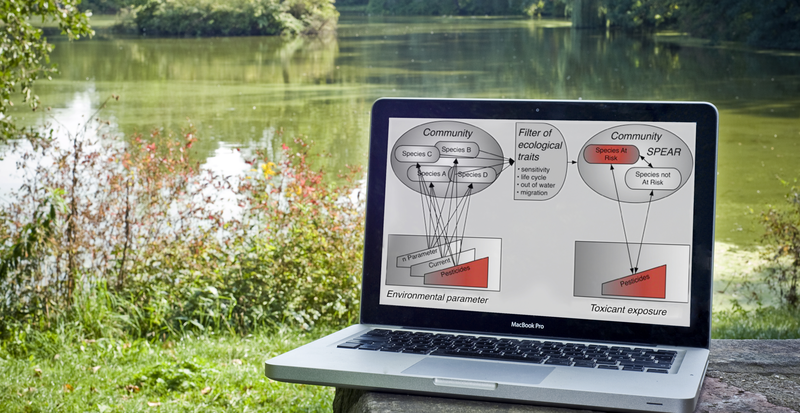 SPEARmesocosm: Ecological assessment of pesticides in mesocosm studies . Liess M, von der Ohe PC 2005. Analyzing effects of pesticides on invertebrate communities in streams. Environmental Toxicology and Chemistry. 24 (4), 954-965. Liess M, Schäfer R, Schriever C 2008. The footprint of pesticide stress in communities - species traits reveal community effects of toxicants.Science of the Total Environment, 406, 484-490. Wogram J, Liess M 2001. Rank ordering of macroinvertebrate species sensitivity to toxic compounds, by comparison with that of Daphnia magna. Bulletin of Environmental Contamination and Toxicology, 67, 360-367. Liess M, Schulz R, Berenzen N, Nanko-Drees J, Wogram J 2001. Pesticide contamination and macroinvertebrate communities in running waters in agricultural areas. Report, 227 p.
Schriever C, Ball MH, Holmes C, Maund S, Liess M 2007. 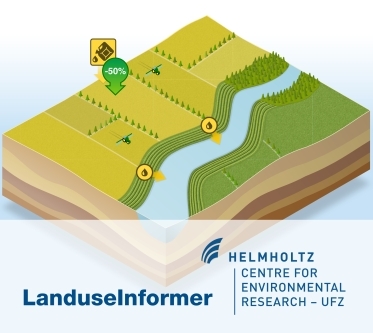 Agricultural intensity and landscape structure: Influences on the macroinvertebrate assemblages of small streams in northern Germany. Environmental Toxicology and Chemistry. 26 (2), 346–357. Schäfer R, Caquet T, Siimes K, Mueller, R, Lagadic L, Liess M 2007. Effects of pesticides on community structure and ecosystem functions in agricultural headwater streams of three biogeographical regions in Europe. Science of the Total Environment,382 (2-3), 272-285. Schäfer RB, Kefford B, Metzeling L, Liess M, Burgert S, Marchant R, Pettigrove V, Goonan P, Nugegoda D 2011. A trait database of stream invertebrates for the ecological risk assessment of single and combined effects of salinity and pesticides in South-East Australia. Science of the Total Environment, 409 (11), 2055-2063. Schäfer R, vd Ohe P, Rasmussen J, Kefford B, Beketov M, Schulz R, Liess M 2012. Thresholds for the effects of pesticides on invertebrate communities and leaf breakdown in stream ecosystems. Environmental Science and Technology, 46, 5134−5142. Rasmussen JJ, McKnight US, Loinaz MC, Thomsen NI, Olsson ME, Bjerg PL, Binning PJ, Kronvang B 2013. A catchment scale evaluation of multiple stressor effects in headwater streams. Science of the Total Environment. 442, 420-431. Beketov MA., Foit K, Schäfer RB, Schriever CA, Sacchi A, Capri E, Biggs J, Wells C, Liess M 2009. SPEAR indicates pesticide effects in streams – comparative use of species- and family-level biomonitoring data. Environmental Pollution, 157 (6), 1841-1848. Liess M, Beketov M 2011. Traits and stress - keys to identify community effects of low levels of toxicants in test systems. Ecotoxiccology, 20 (6), 1328-1340.